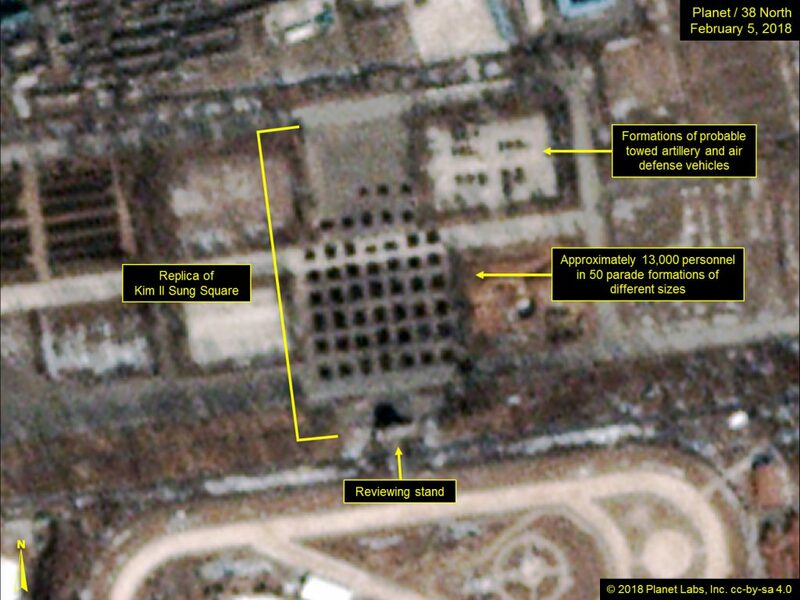 A new Planet image of North Korea’s Mirim Parade Training Facility shows expanded preparations for the military parade expected to be held on February 8 to celebrate the foundation of the Korean People’s Army. As of February 5, there are now approximately 13,000 troops practicing on the training grounds (up from 12,000 on January 28). However, only a small group of artillery pieces and armored fighting vehicles are visible at the facility. This is not unusual as some of these are likely stored at nearby military facilities. 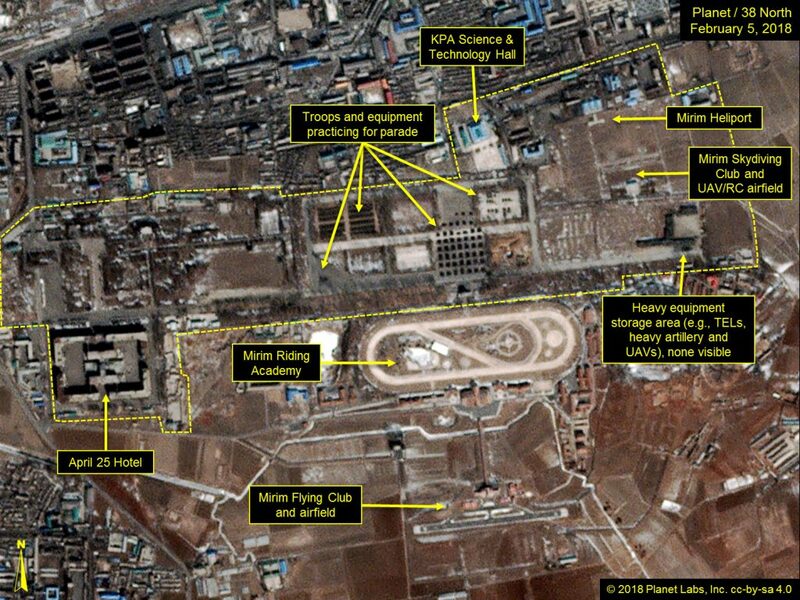 There are still no signs of ballistic missile or unmanned aerial vehicle (UAV) launchers on the parade ground or at the heavy equipment storage area. Figure 1. Overview of the Mirim Parade Training Facility and its surroundings as it appears on February 5, 2018. Figure 2. Approximately 13,000 personnel are in formation in the replica of Kim Il Sung Square and a small number of artillery pieces and armored fighting vehicles are present in the northeast parking area. Figure 3. 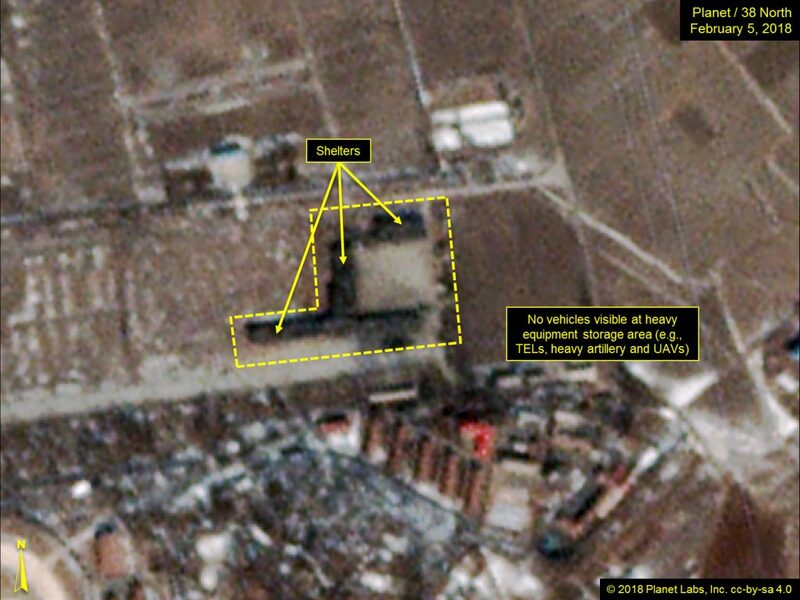 No ballistic missile or unmanned aerial vehicle (UAV) launchers are visible at the heavy equipment storage area.